Are Raw Examination Marks Threatening Education in Tonga? You are at:Home»World News»Are Raw Examination Marks Threatening Education in Tonga? SEATTLE — Located in the central South Pacific, the Polynesian Kingdom of Tonga is not known for giving quality education to its people. There is a requirement of eight years of primary education in Tonga from ages six to fourteen. At the end of each term, there is an exam that a student must pass in order to move to the next levels of education, which are secondary, upper-secondary and university. Their examination grading system had been based off of a system called standardized marks — standardized marks are raw scores of each single exam that are further calculated and changed with a specified mean and standard deviation. For example, many times the mean score is one-hundred and the standard deviation is twenty-five. That would mean the total score of the exam would be out of one-hundred points no matter how many questions there were on the exam. When examination scores are inputted, a weighted score is presented; this weighted score becomes the total score for the individual. The standardized marks system was introduced in 2002 and reached its final stages of development at its termination in 2015. The Prime Minister and Minister of Education, Hon. 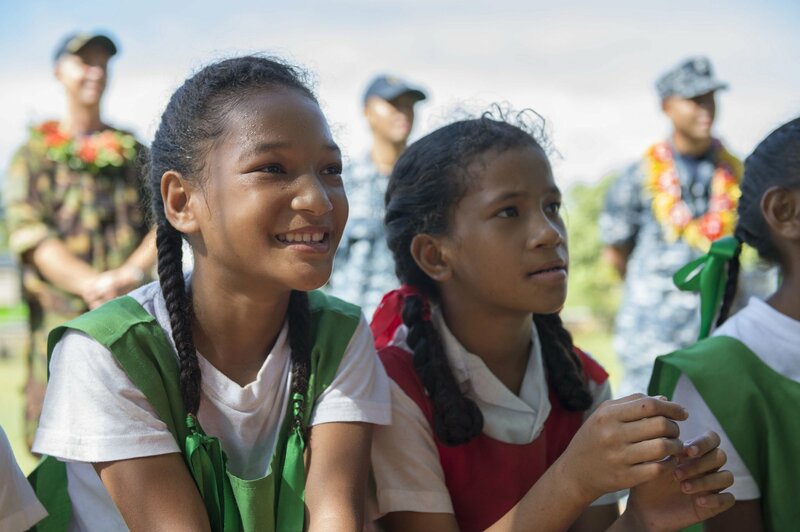 ‘Akilisi Pohiva, decided upon review and analysis of previous test scores and pass rates of the Secondary Entrance Examination that a change to the system was necessary. He found that by 2014, only twenty percent of students passed the English exam and seventeen percent passed the mathematics exam. He believed that education in Tonga needed to improve, and thus explained his reasoning for wanting to revert back to raw marks. Raw examination marks are the overall marks a student has received on an exam. These marks indicate the amount of points it takes to get a certain grade in a course. For instance, a C-grade could be worth twenty-four points, therefore a student would have to at least receive twenty-four points on an exam to get a C-grade. After an examination is graded, an analysis of the students’ scores is done by moderators and examiners. The analysis is based on student performance, previous years’ exam results and statistical data such as the average mark from each exam. Afterwards, the marks are applied to the Band Performance Indicator and used to create an average for each letter grade. A Band Performance Indicator is also referred to as boundary marks. These marks are set so all students have equal opportunity to receive the grade they deserve no matter the difficulty of the class. Taking a physics class, for example, versus an English class, the overall grades may differ because of the level of difficulty of each subject. Therefore, setting a mark in which students will need to meet in order to receive a certain grade are established. The difference between standardized marks and raw marks is simply a weighted score of an individual versus an overall grade based on the performance of a class. A standardized mark is not custom to each subject and student, while a raw mark is. The problem that education in Tonga faced was that students were able to mask their true raw grades with the standardized system. The Minister of Education in Tonga came to the conclusion that raw marks were better suited for students to improve their grades and enrich education. Considerable negative response blossomed in response to the transition. Due to the change in examination marks, hundreds of students failed their end-of-year exams. These failures led parents to blame teachers for not adequately teaching their children; the failures also led to various problems with students’ future education. Raw marks were not generally accepted at Tongan or overseas universities, therefore the transition from standardized to raw marks became an issue for Tongan students. Many who failed their exams were unable to retake the term to receive a better grade. Without a passing grade, their likelihood of attending university was slim and the number of drop-outs increased; Tonga had an unemployment rate of 4.95 in 2015. These student drop-outs are likely to join the unemployment class as they do not have many other options. In October of 2015, there was a petition set in place to remove the Minister of Education in Tonga, yet Tonga’s education ministry diligently released a detailed statement in rebuttal. They addressed every issue of the petition, including that the decision to move from standardized to raw marks was based on of the confirmed declining scores among students. Standardized marks were misleading, presenting a grade average that was not correlated correctly with the level of success. The ministry also cleared teachers of the blame: teachers’ access to educational tools is low, curriculum is not at the standard level and schools are in poor condition. As a result, targeting teachers would not be the correct approach, simply because the Ministry has not provided teachers with the resources needed to aid in their students’ success. Although a public uproar occurred because of the change in examination marks, raw marks allowed for the Ministry to become aware of the declining quality of education in Tonga. The negative response was necessary, as tools needed to be set in place for both teachers and students to improve education. Concerns surrounding future education will continue, but now that the Ministry is aware of these concerns, they are able to work towards a higher quality educational future for students.